I found this on Facebook today and thought it was a lovely image. 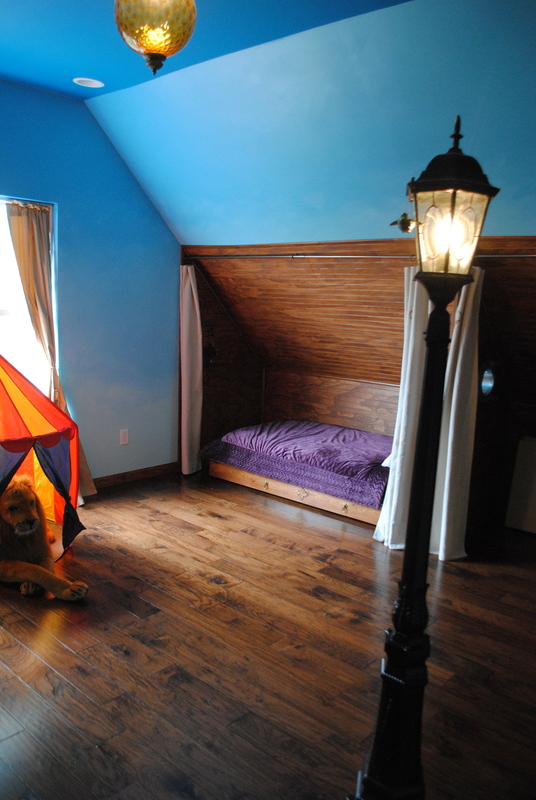 I hope Narnia and all the books in Cair Paravel will sprinkle lots of stardust over our grandchildren’s lives! I hope Aslan and Tumnus, Lucy and Peter, Billy and Blaze, Pod and Arrietty, Laura and Mary Ingalls–and a whole host of other characters–will be their childhood companions through countless imaginary adventures. I want them to look back on magical memories of pony rides on Julie, helping Didi feed the animals in the barnyard and making crafts with Mimi. My family moved around so much that I rarely got to spend time with my grandmothers, and I only knew one grandfather, who spent his time in front of the TV. I loved my grandmothers, but I have so few memories of things we did together. My own children missed out on what having grandparents can be. 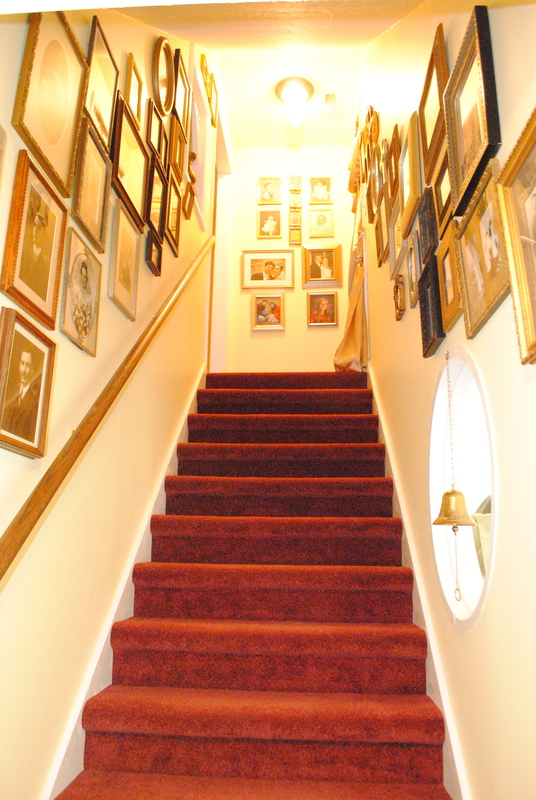 My husband’s parents died before any of them were born, and my parents were so strict that spending time with them was more something to dread. A few years ago I looked at our children’s book collection and said that some day I wanted to be the Book Grandma. When we moved here, I said I wanted to be the Farm Grandma. Then we built Narnia, and I would say I want to be the Narnia Grandma–but this quote says it so much better. 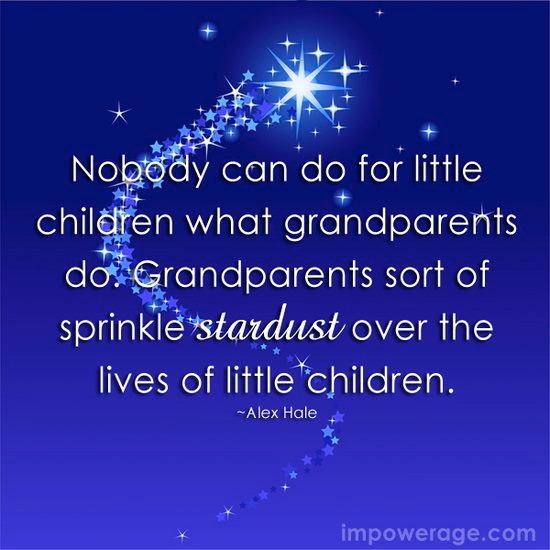 I want to be the Stardust Grandma! I think that pretty much covers everything grandparents can be to their grandchildren! We have LOTS of books. 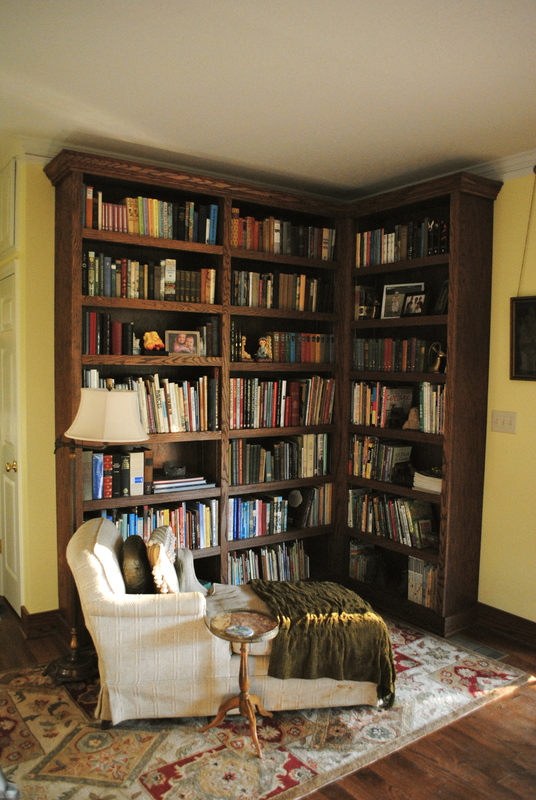 We have floor-to-ceiling shelves in our living room and a 30 foot-long wall of floor-to-ceiling shelves in our study. 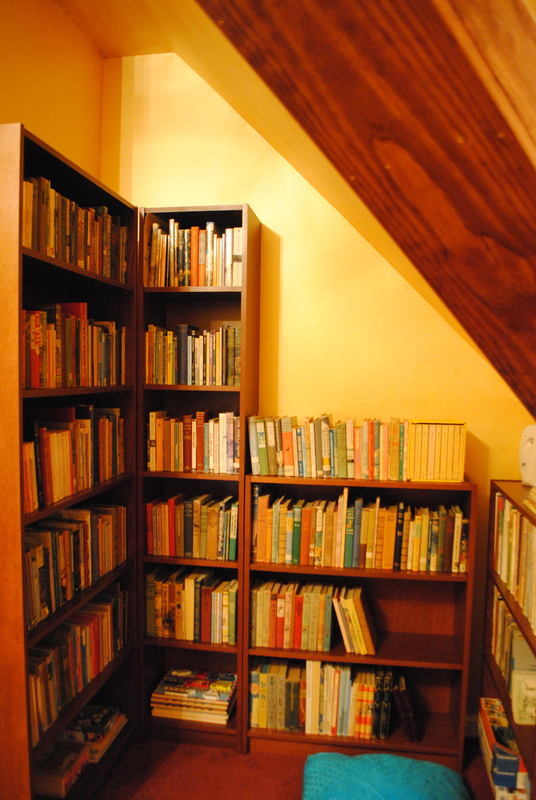 They are full of books–and I ordered more shelves for Herb for Christmas! We love our books and take good care of them. We even read some of them! When our children were small, I collected 600 books (give or take a few) so that while we lived in the French-speaking world, the kids could enjoy reading in their mother language. These books traveled from New York to the Central African Republic, from there to France, and back across the ocean to Tennessee. 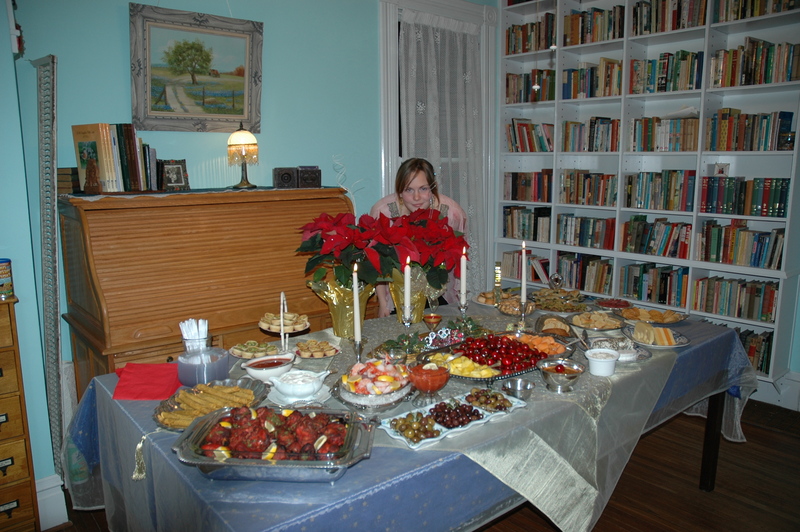 Ignore the tantalizing buffet and the beautiful birthday girl–just look at (half of) the shelves where the children’s books lived in the library of our Victorian house. 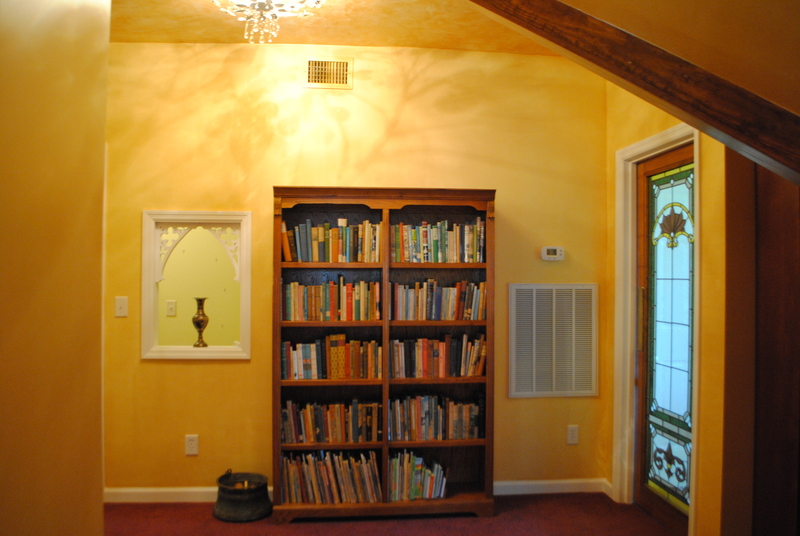 In our Tennessee Victorian house we built shelves in the library, and there the children’s books lived and were loved alongside my own books. Kara was still young enough to enjoy some of them, and I re-read my old favorites, too. Then four years ago we moved here, and the children’s books became homeless. They lived in boxes stacked in the hay barn because we had no place for them. 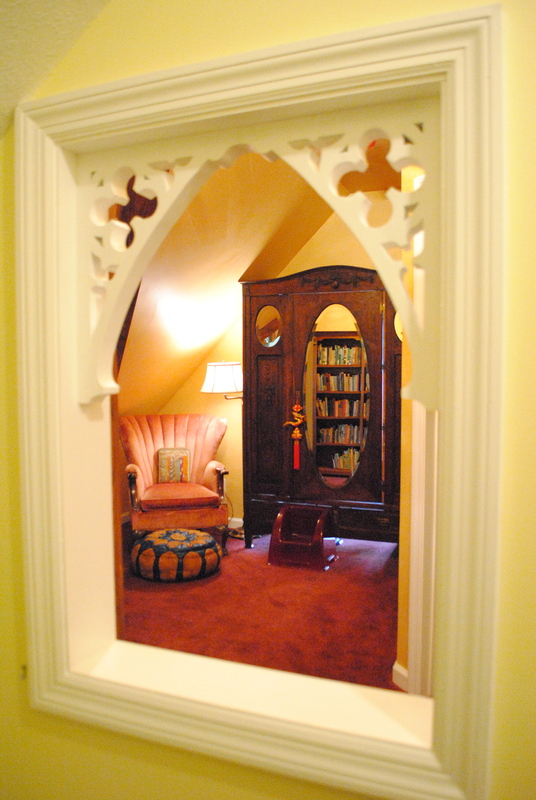 That is how the Library at Cair Paravel became a feature of our Narnian design. Of course, C. S. Lewis never wrote about a Library at Cair Paravel, but I’m sure there must have been one. So I let my imagination loose and thought up a regal setting for the books–a place that will make them feel like their four years of homelessness were worth enduring; a place that will bring joy to our grandchildren as they enjoy the same books their parents read; a place that will encourage us adults to pull old favorites off the shelves and enjoy them again. 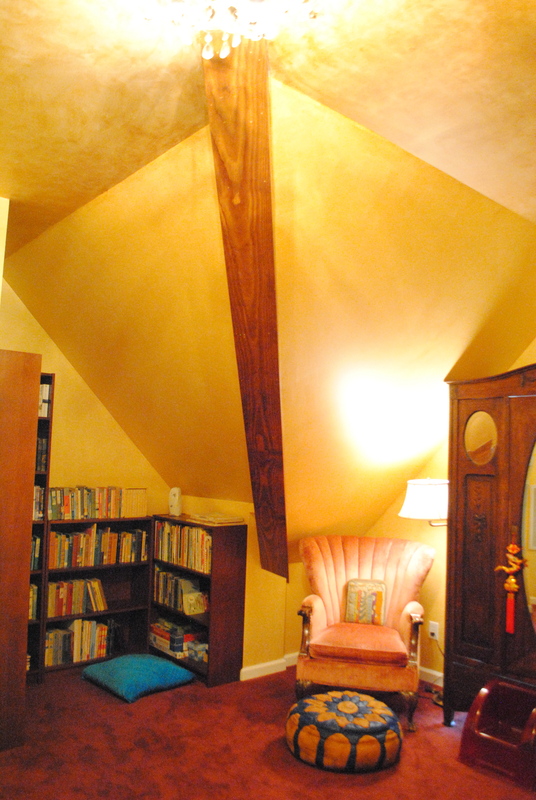 Once Cair Paravel was ready, Herb hauled over 2 dozen boxes of books into the study, and I began unpacking. 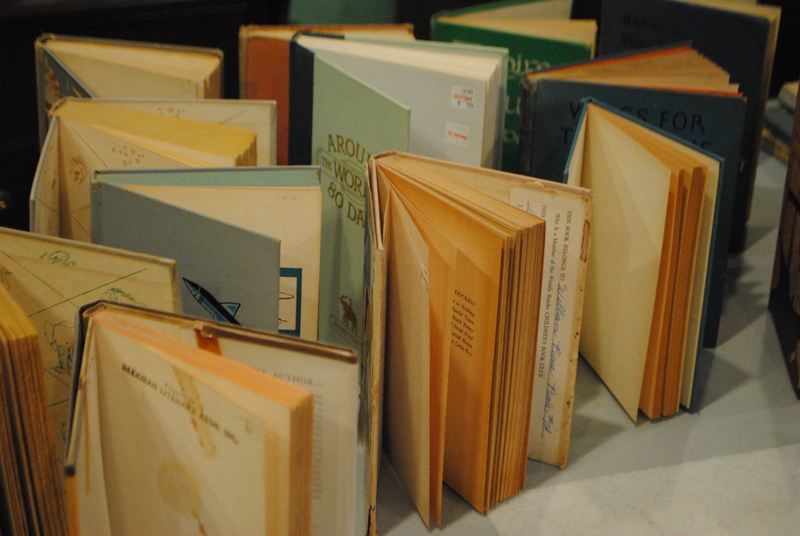 I got an unpleasant (if not completely unexpected) surprise: The books smelled awful! 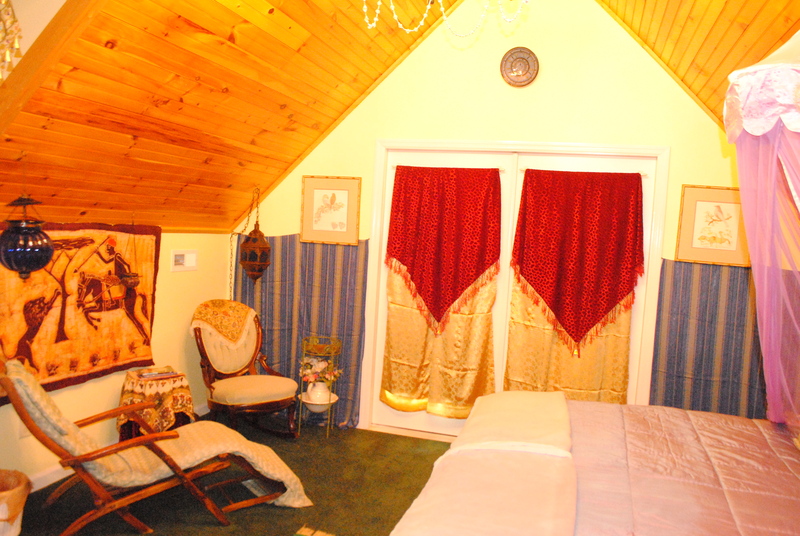 They were musty, and in some cases even mildewy! Thus began Operation De-mustification. 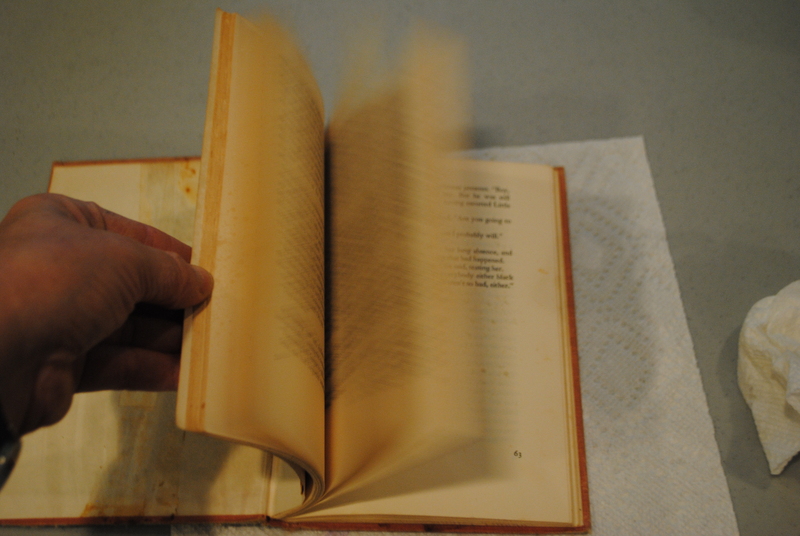 As I pulled each stack of books from a box, I used a fresh Clorox wipe to remove old dust from the top of the pages. 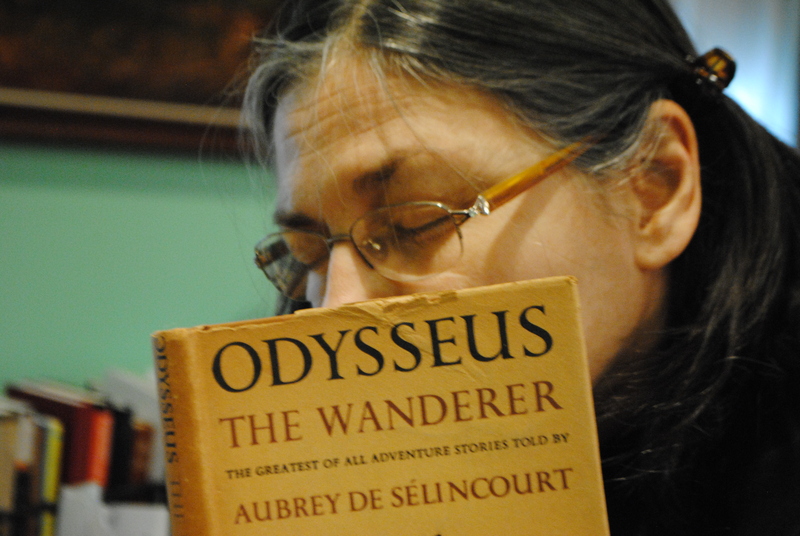 Next, each book got the “Smell Test” like Odysseus the Wanderer in the photo above. Books that passed the “Smell Test” got the “Lite” treatment, as follows. 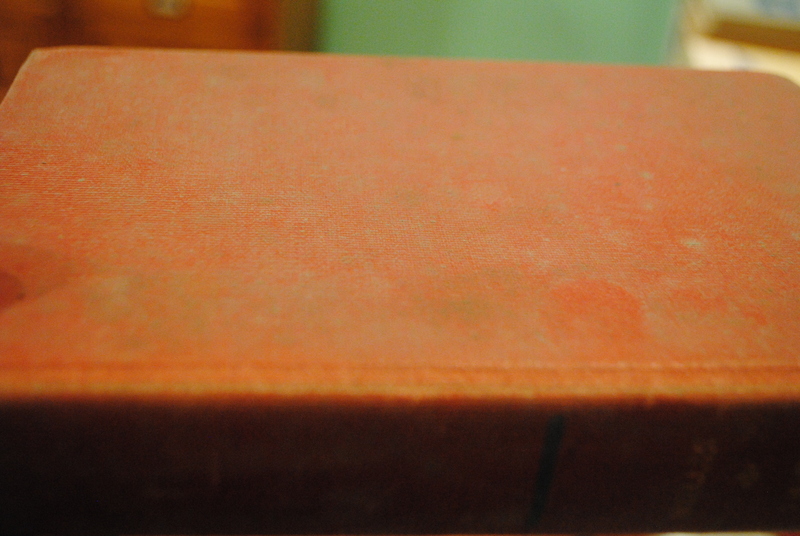 I sprayed alcohol over the front of the book and wiped it with a paper towel. 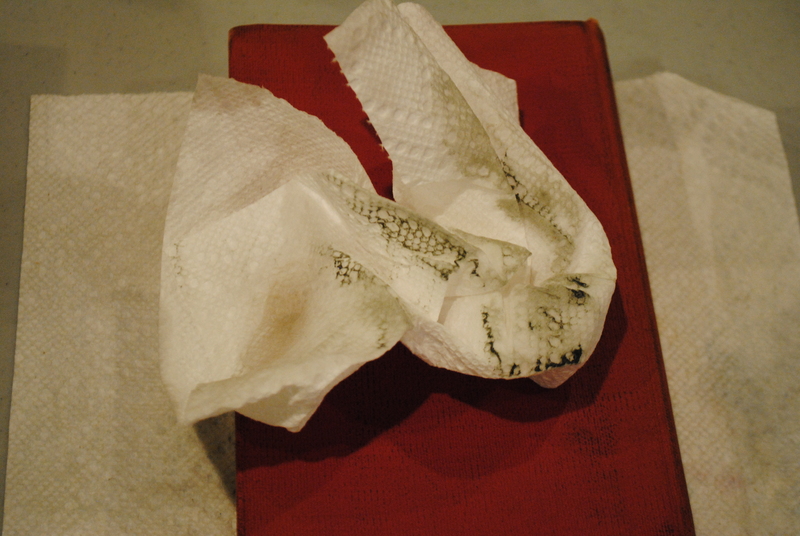 If the paper towel came away dirty, the book got further attention. 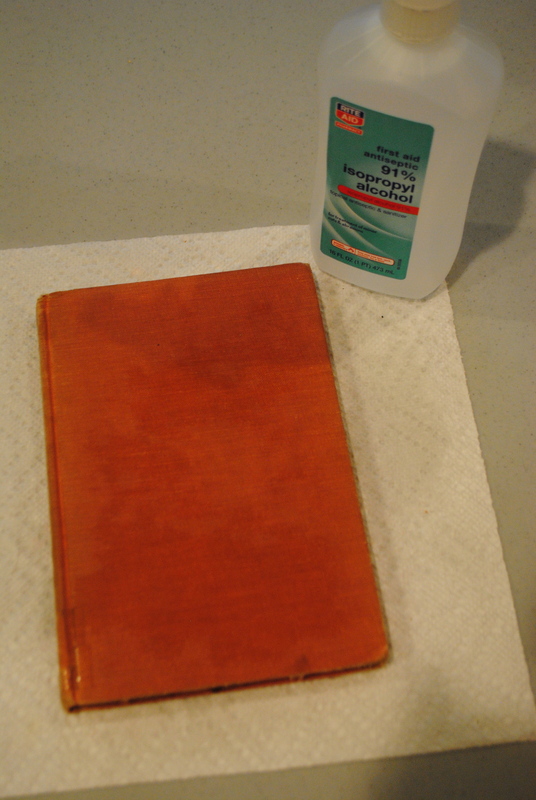 Usually one spray and swipe was sufficient to be sure the book was clean. I flipped the book over and repeated the same treatment on the back. 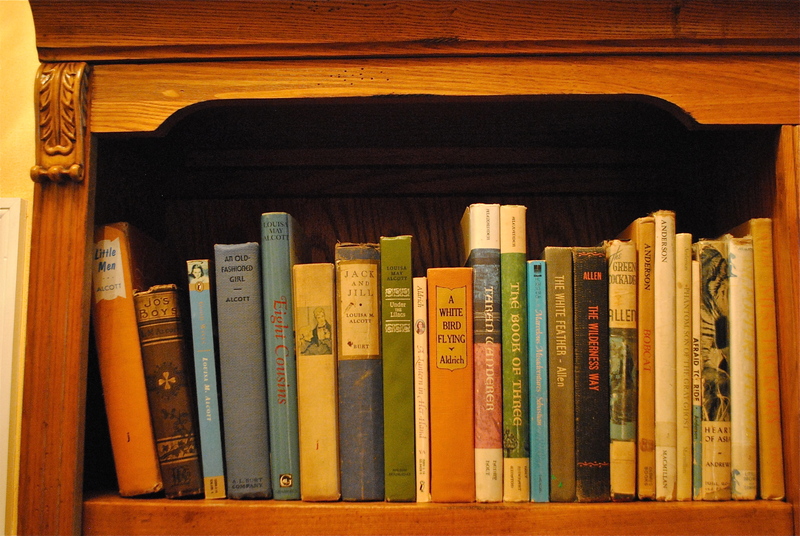 Paperbacks were propped open face down while hardbacks were fanned open to stand up. Since the 91% alcohol evaporates quickly, by the time I had treated two dozen or so books, I could go back to the first ones and stack them out of the way. 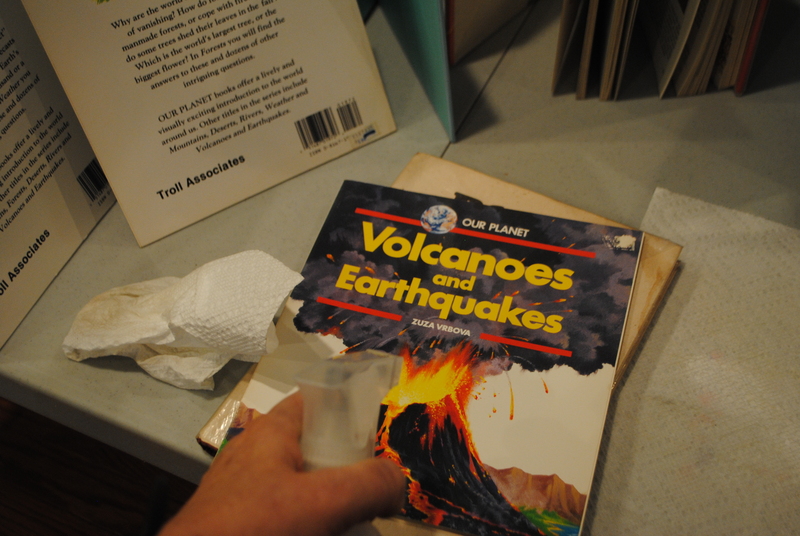 Any book that didn’t pass the “Smell Test” got the “Heavy Duty” treatment. 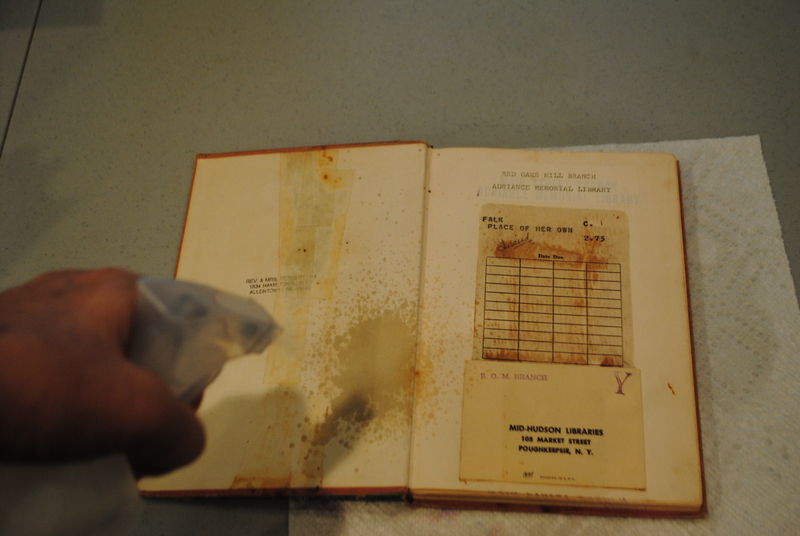 And it goes without saying, that any book with visible mold or gray speckling got the same treatment! Here’s one I didn’t have to smell! 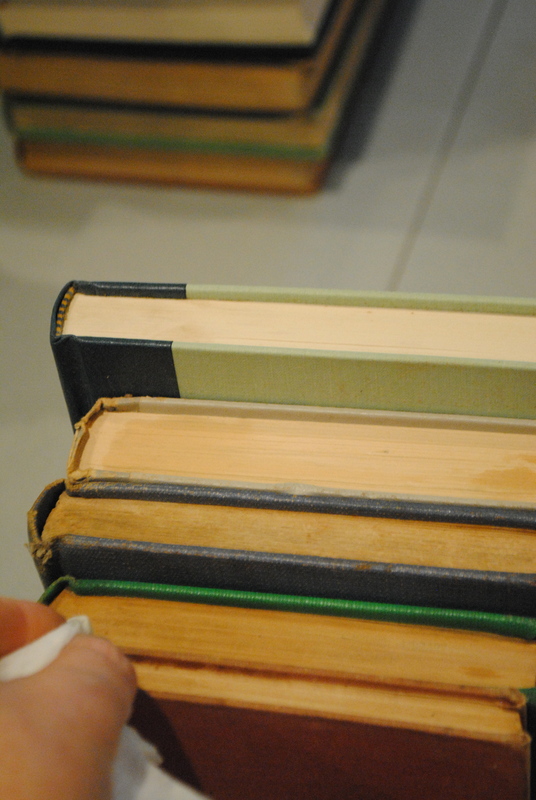 I quickly learned that these ex-library books with the heavy duty cloth covers were the worst for getting mildewed. I think it has something to do with the glue that was used on their bindings. The first step in the Heavy Duty treatment was to spray each cover heavily with alcohol and wipe vigorously. Although mold was visibly removed by wiping, I repeated the treatment with a clean paper towel to make sure no visible mold was left. One important tip to remember is that many times the sted design on the front covers of these ex-library books will run if sprayed with alcohol and wiped. 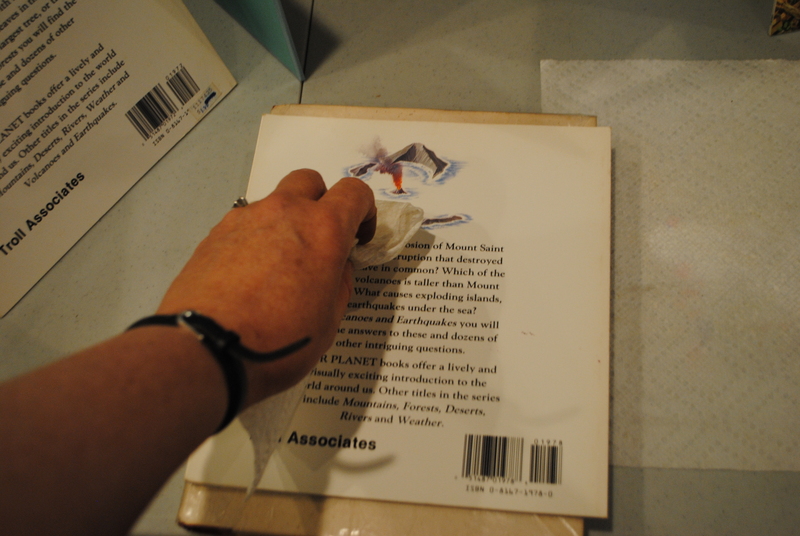 If there’s visible mold to be removed, careful blotting will do the job without ruining the cover image. 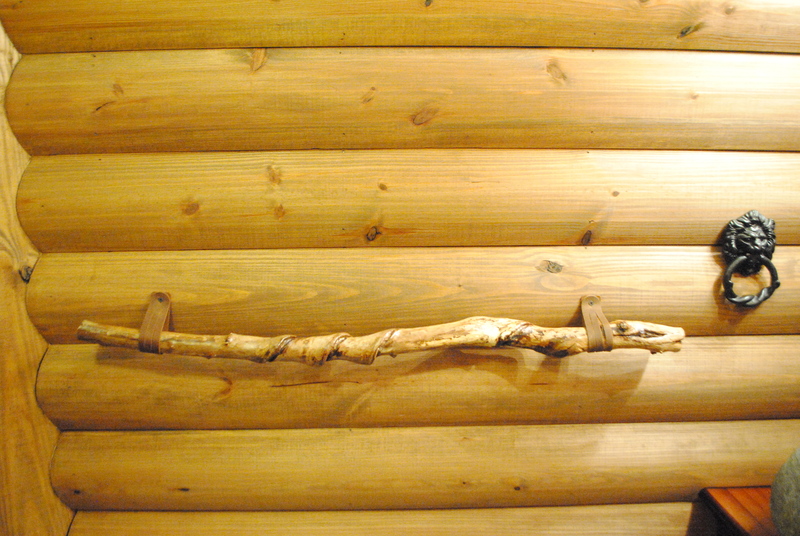 Otherwise, the cover can be left to air-dry. The next step was to spray both inside covers. After that, I fanned the pages with one hand while spraying them with the other. Finally, I placed the book in a sunny windowsill to absorb some ultraviolet radiation on both the covers and the inside of the pages. 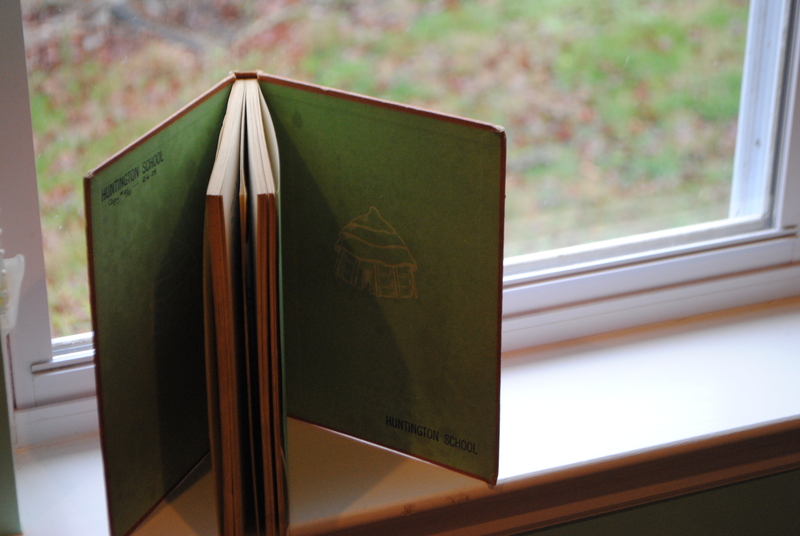 When the book had adequately aired and no longer had any bad odor, it was rehabilitated and could join its friends. 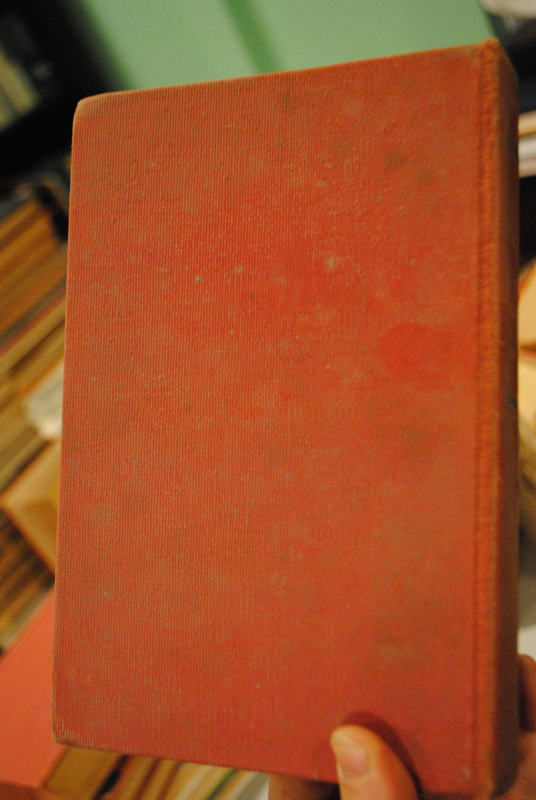 I ended up throwing away a couple of dust jackets, but I only found one book that was beyond de-mustification! 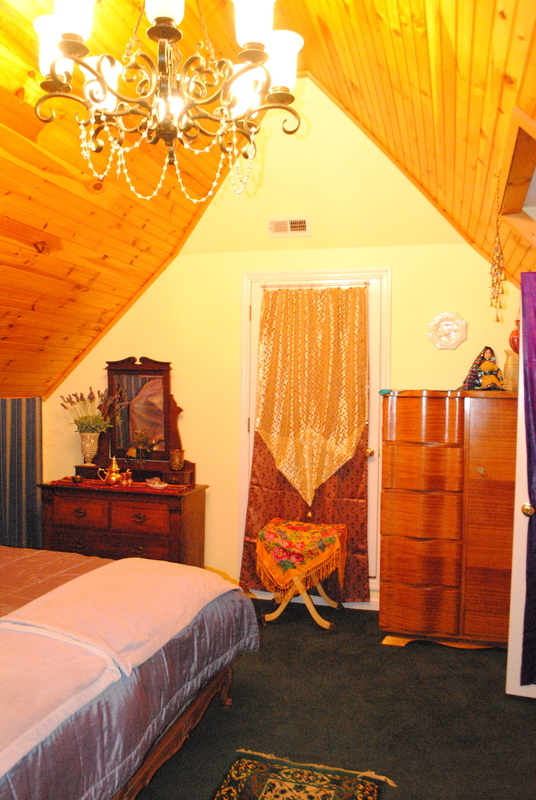 When I first started unpacking books, there was such a strong musty odor in our study that it wafted down the hall. 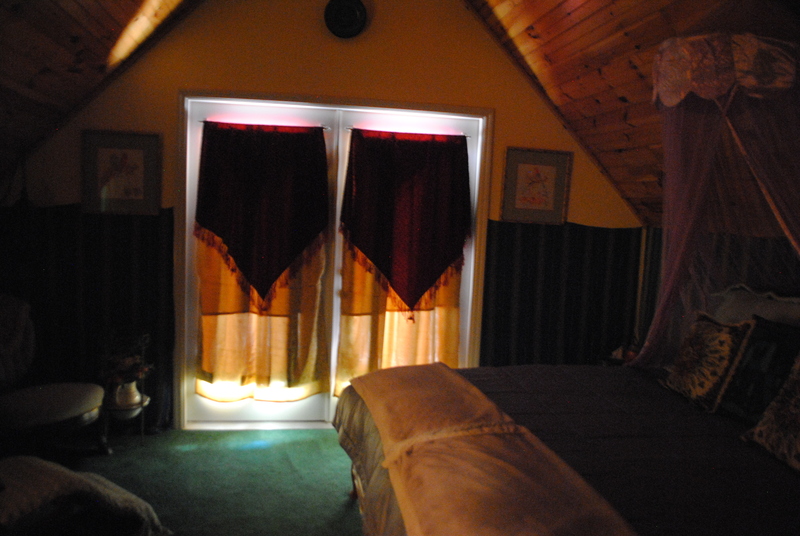 By the time I finished treating all the books, the odor was gone. 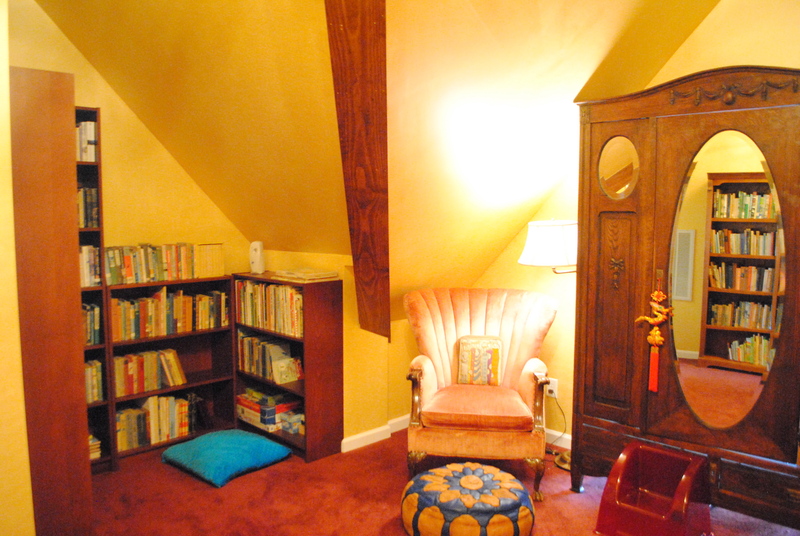 And best of all, when I had finished shelving all the books upstairs in Narnia, there was no odor at all! I’d say Project De-mustification was a success! 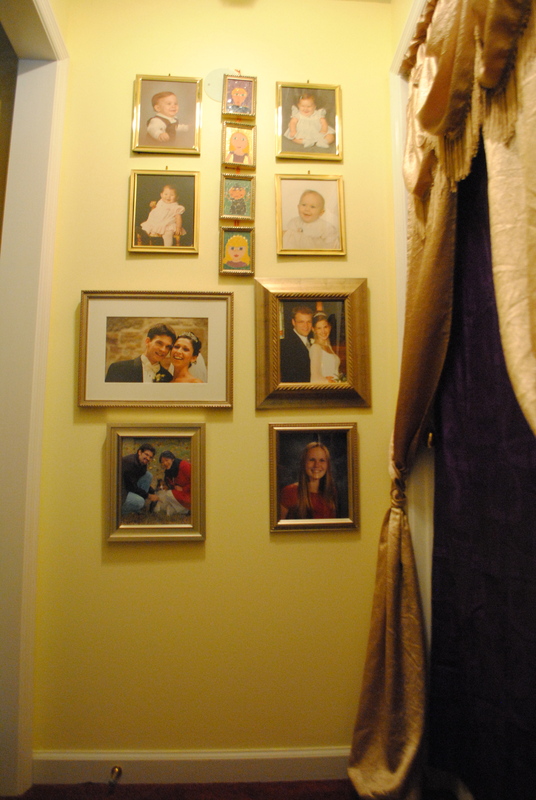 These next few posts will deal with various DIY projects I’m doing to add the perfect touches to our Narnia decor. 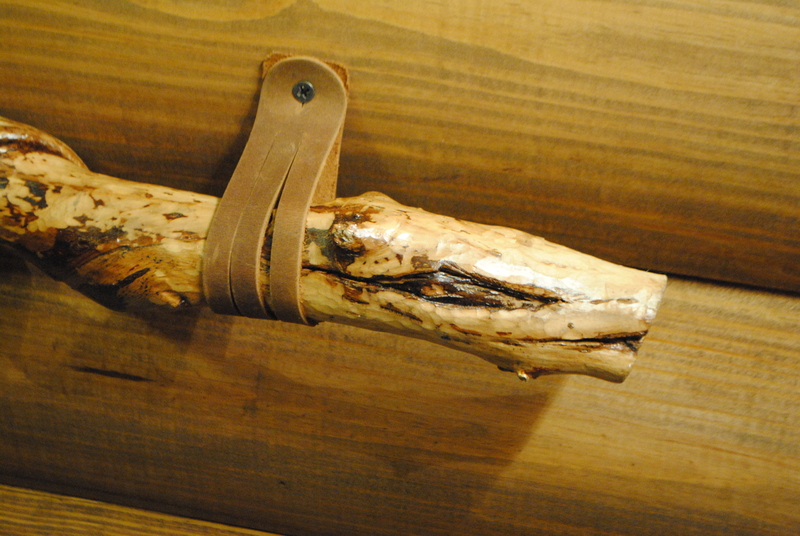 First is to spruce up an antique French “hand” door knocker. 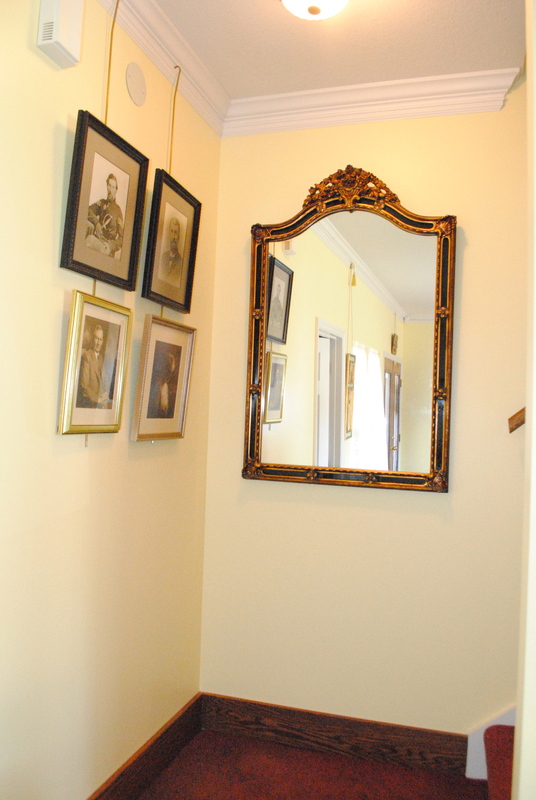 While on an exterior door of our former house, the brass accents got dull and got a few swipes of white paint from a careless paintbrush. 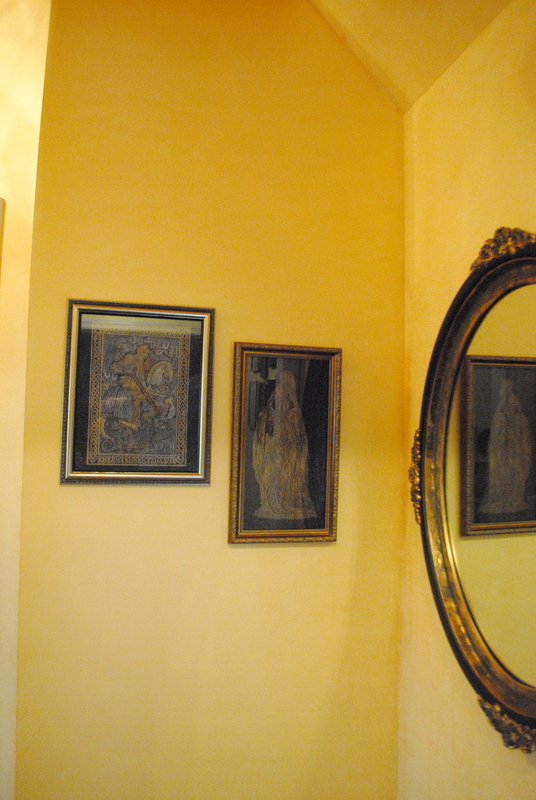 I used fine steel wool to gently remove the paint and to bring out the highlights while leaving the dark, antique patina untouched in the recessed areas. 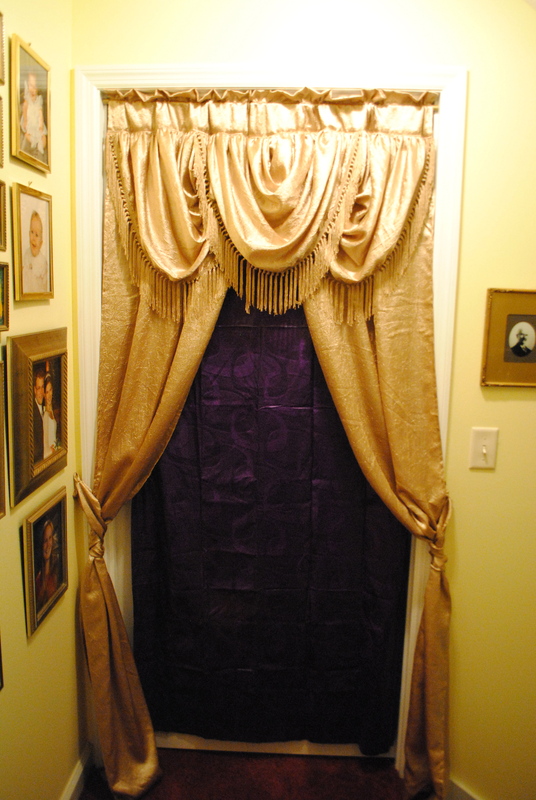 Now The Hand is ready to hang on the Cair Paravel side of the bathroom door–a fancy way to teach kids to knock before entering! 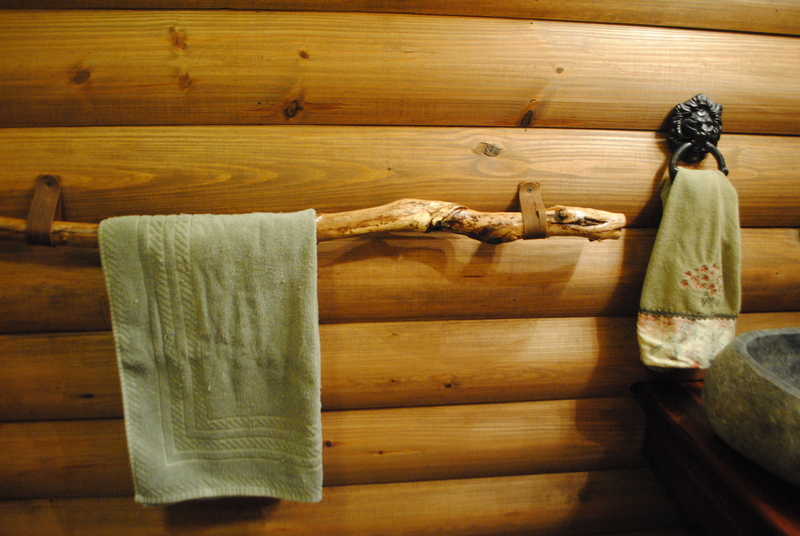 These two lion head door knockers will go in The Lodge as a towel hanger on the door and another beside the sink. (I bought the rusty ones because they were half the price of the weathered bronze ones which still wouldn’t have been the right color.) I love these lions, but not what their rusty finish would do to my towels! 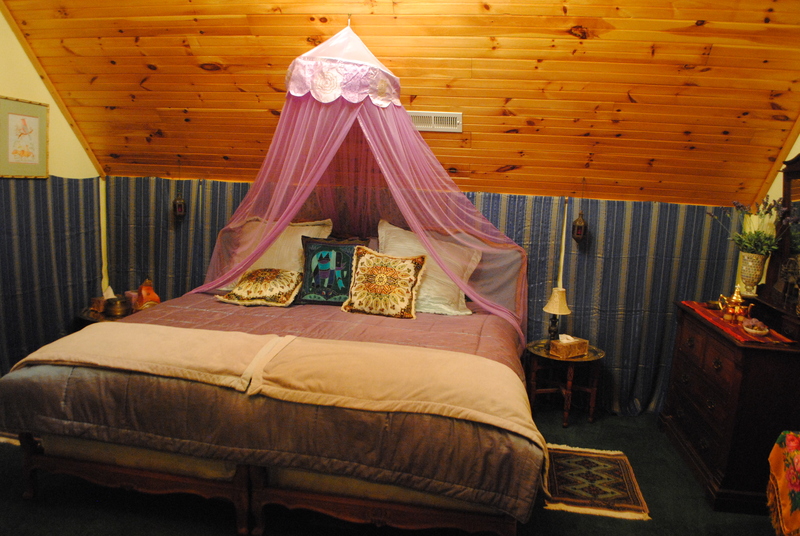 All the other hardware in The Lodge is oil-rubbed bronze, so . . .
First I went over the lions with fine steel wool to remove any loose rusty finish. Then I bought a can of Rustoleum Oil-Rubbed Bronze spray paint. I stuck the bolts in the holes of an upside-down clementine box to spray them. Neat, huh? I flipped the rings up onto the lions’ faces and sprayed a light coat from all sides, then let it dry. Here’s the job halfway done. When the paint was dry, I flipped the rings down and sprayed lightly from all angles, making sure not to miss the sides near the paper. Here are the finished bolts and one lion. There are tiny sparkly, coppery particles in this paint so that it catches the light and truly looks like oil-rubbed bronze. Here’s a final look at the lions in different light. This photo doesn’t do justice to their warm bronze patina. I think they look amazing! 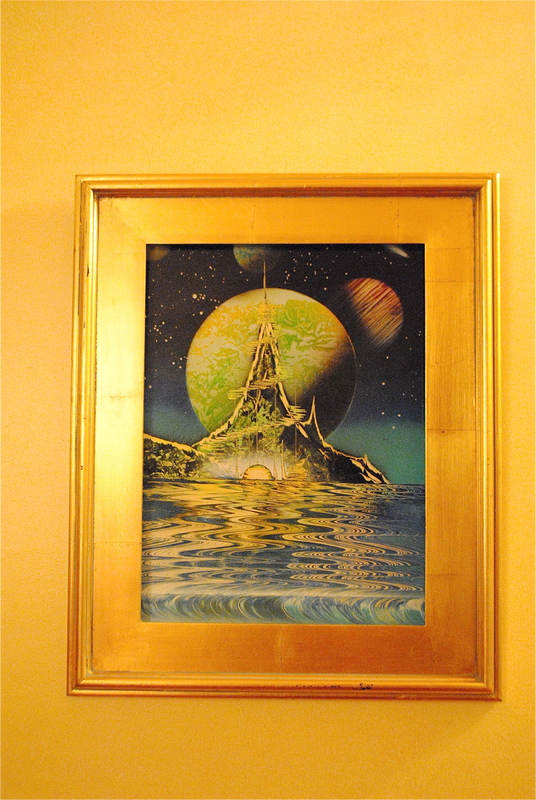 The final adaptation will be to mount one on the wall beside the sink. Stuart says he can drill holes through one lion so it can be screwed into the wall. The one to be mounted on the door won’t need any adaptation as the hardware that comes with them includes bolts with those antique-looking nuts to screw in on the opposite side of the door.